Where is the exact location of this igneous intrusion? I am studying geochronology and tectonics of this region and am planning to visit some of these outcrops! 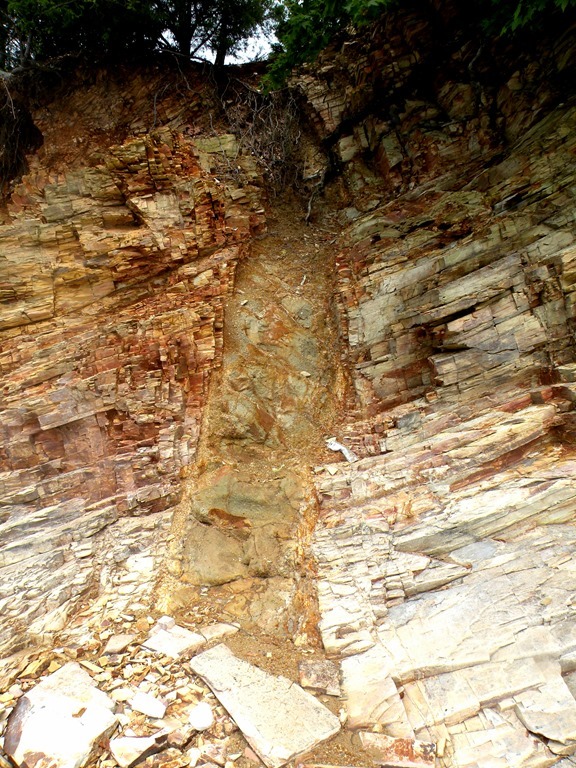 This particular igneous dike is located in the middle of Lake Ouachita, so somewhat difficult to access. It’s on the south side of a small, crescent-shaped island at 34° 36′ 4.04″; -93° 17′ 4.69″. You may contact Richard Hutto at the Survey if you need additional locations for your project: 501-683-0151. Thank you very much for this information! I will definitely be in contact with Mr. Hutto about additional locations to help me with my thesis. That is interesting. Galena and Sphalerite (ores of lead and zinc) have historically been mined in north central Arkansas, but not silver. If it would be more convenient, you can email your photos to me at richard.hutto@arkansas.gov and I’ll try to identify what you’ve found.